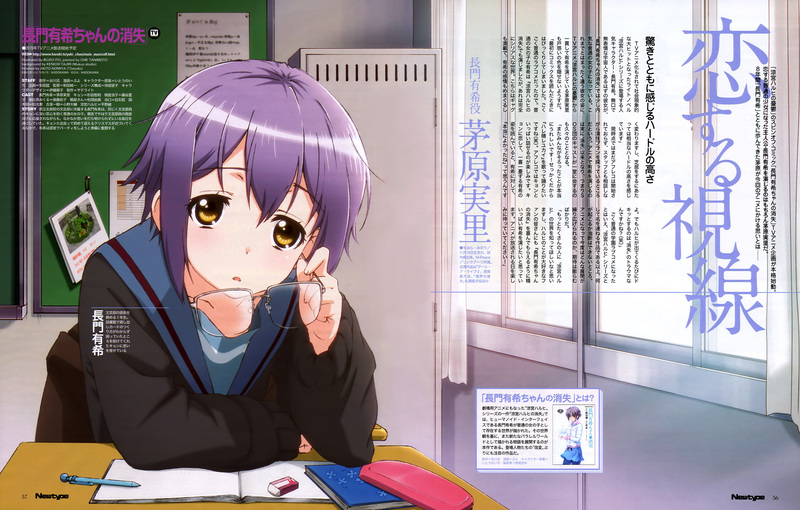 The latest issue of Newtype has revealed a brand new visual for the upcoming anime adaptation of Nagaru Tanigawa and Puyo’s The Disappearance of Nagato Yuki-Chan (The Vanishing of Nagato Yuki-Chan) manga. This new visual features the titular character of Nagato Yuki and gives us a close first look at her new design in the Spring 2015 anime. Click on the image of the full resolution. The anime adaptation of The Disappearance of Nagato Yuki-Chan will be airing during the Spring 2015 anime season on Tokyo MX and AT-X. We will have the full visual in the upcoming days.